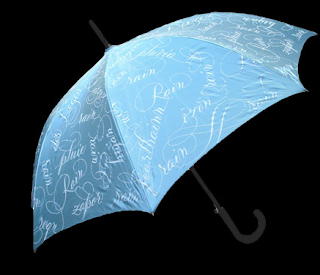 even on your umbrella? in fact yes. 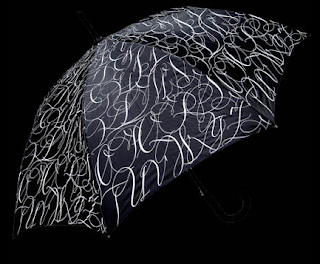 bernard maisner, the absolute master of calligraphy has just introduced a line of umbrellas covered in his beautiful script. i would say a-z is my favorite, but the rest are pretty snazzy, with maybe one exception. 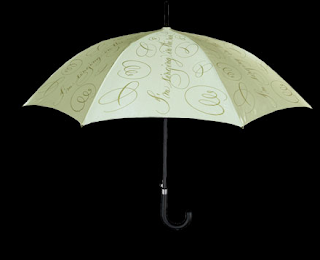 the red umbrella covered in love is just a bit too saccharine for my taste.